You are welcome to my Auto Affiliate Program Review. I am sure you want to know if you can still make money with this program. Auto Affiliate Program promised to create a fully automated online passive income for you in 7 minutes! The problem is, many people want to make money without really working, and many of these online gurus know that, and they are ready to exploit you to get your money. Just like Auto Affiliate Program owner “Steven Hall”; he suggested that all you need to do is to buy his program for $47 monthly and your money making will be automatic and continuous online. This will be an honest and complete review of this product, and in the end, you will be able to take the decision if indeed you want this program. The auto affiliate program is an affiliate marketing program that makes its affiliate sales by giving out free eBooks. Despite how simple and legitimate this seems its really a somehow and has a lot of flaws that make it very hard to make any profit from it, especially for newbies. Most of these flaws will be highlighted below. What is Auto Affiliate Program About, Exactly? Steven Hall (the program owner), will deliver to you many collections of eBooks in many subject areas and it is for free. Inside of the books are links to other products and services as related to the subject under discussion in each eBook. You will give away these eBooks on your websites and social media as a free download. If any of your audience, click on the links in any of the eBooks and buys any products or services you will get a commission (Just as it is as if you are promoting Click Bank Products). Each link in every eBook will be branded with your affiliate link, and you will have a free website so that you can direct people to check out your many eBooks. Steven has put a system in place with his team to email any person that downloaded any books with your affiliate links for continuous engagement on other related products to help you earn more commission. Within these various books are also your affiliate links for people to join the Auto Affiliate Program that will also make you money. More books are added for your weekly, and you are trained on how to share these books to your social media for continuous engagement. The Auto Affiliate Program is not specific to any region or country. How Much Does Auto Affiliate Program Cost? Apart from the $47 monthly fee, there are no upsells or any other thing you need to spend your money on. Who Is The Auto Affiliate Program For? The Auto Affiliate Program would be best for well-experienced affiliate marketers who can leverage on the automated website and eBooks; it would not be the right place for a beginner to learn. You will need a lot of traffic to give away the free books easily and make a lot of money; this is not possible for a newbie or a beginner without already made websites that can rank organically. If you depend on PPC adds you must be very good at so that you will not waste your money in the process. PPC will help you target the kind of audience that your free books will be suited for. The bottom line is that you need traffics to get these free books distributed, you can only do this by having an already grounded website, or you are good with PPC. The Auto affiliate program automates almost everything for you, from the website building to the eBooks, to the mailing list. It inserts your affiliate links inside the books automatically and updates them when the need arises. This would only work for you if you already have existing traffic as well as the skills to build it. So as a newbie to the world of affiliate marketing, you have little to no chances of making money with this Auto Affiliate Program, but as for the experienced marketers, this is one program you can take full advantage of. The money to be made varies upon the amount of traffic you can get on the site and the number of clicks you can garner on your affiliate link as well as the commission on each of them. What Is the Quality of the eBooks? I am yet to go through any of the downloaded eBooks from 12 niches, but from the several reviews of the downloaded books, the quality of the books seems to be just okay. However, they will not earn you the expected conversion despite the high quality. But it is given away for free they will help and be valuable to whoever decided to read them. The books are voluminous of over 35 pages averagely with great information as relating to their niche. It should be great to read by anyone desire to learn new things. The inserted affiliate links are a great idea that can convert since they are not spammy. The eBooks are of high quality and don’t forget that they are done for you to give out for FREE. Everyone loves free stuff. The books are from over 12 different niches across several segment market and for a diverse audience. The length of each eBooks is from between 35 to 65 pages in averages, and the content is arranged and written exceptionally. Don’t forget that they are from different authors. The significant and only thing about this program is that the eBooks are good. Auto Affiliate Program is selling on Click Bank. All Click Bank products enjoy the 60 days money back guarantee. It implies that if you purchase this program and you decide to get your money back before the two months’ time range, your money will be returned. The problem with Click Bank is that it is not that simple and easy to process, please note that and think twice. You will get your money back, but it may take a while. Issues With Auto Affiliate Program? This program will teach you nothing; no new skills will be acquired with the Auto Affiliate Program. The program will do virtually everything for you without teaching anything. The problem is that if this program folds up what where will you start from since you know nothing most especially if you are a newbie. Steven has complete control over your mailing list since they would be the ones to send emails to your audience automatically and you don't have to do much. This is the downside to this Auto Affiliate Program because, in affiliate marketing, your mailing list is practically everything. You may have read that the “money is in the list.” In this case, your money is with the owner of the Auto Affiliate Program. The multiple websites for members are of one-pager and with duplicate content. This is an absolute no for google. Google search engine hates duplicate contents, and everything here is full of it. The eBooks are tremendous but is sold on a site with duplicated contents that is against Google way of life. No such website will be found online. Instead, it will go down deep in the ocean of sites. You can make money while you depend wholly on PPC because Search Engine Optimization is excellent but cannot work with a website that is duplicated. No one reads eBooks anymore especially if they do not intentionally download it. Most giveaway eBooks practically gather up dust in one of the computer files of most people. And unless you have unique quality content and an eager audience that wants to read your eBook then using this method is probably not the best idea for it. The primary traffic strategies are via Pay Traffics. That adds via social media and another medium like Google, Yahoo, and Bing. But this is difficult things to do most especially if you are new. You can lose a lot of money, and you won’t get the result. The strategy is to share free eBooks on social media to bring traffics to your duplicated websites. This is a very wrong strategy that will make you lose a lot of money for adds placement. Auto Affiliate Program is a program that will do all things for you. In as much as you are paying your monthly due. The monthly recurring fees is a must paid otherwise you will lose all your investments with this program. They make you depend on their system. The system inserts your affiliate links, they managed your email list and hosted the website you paid for. The implication is that you will lose all if one day they folded up and you will be doom and left with nothing. In this program, you do nothing, learn nothing, and you only rely on luck to make money with the Auto Affiliate Program. What is a niche? 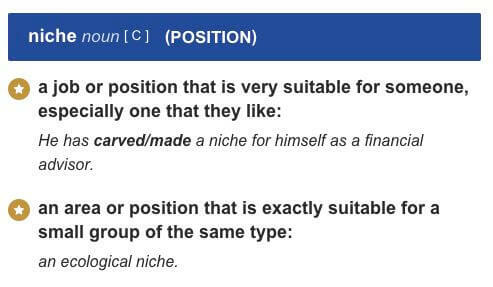 A Niche can be a job, position, segments that are suitable for someone or an audience. With the Auto Affiliate Program, the eBook only focuses on and limited to 12 inches. If your niche or area of interest is not among these lists of slots, then one will be forced on you. I understand all businesses want to sell the idea of their Auto Affiliate Program to potential customers, but when you over exaggerate specific details, you tend to come off as a sham even if you're not. “fully automated passive income for life. Is Auto Affiliate Program Legit Or Scam? The program is also for experienced affiliate marketer and will not work for any beginner. It also is very limited in terms of the services it offers. Is Auto Affiliate Program Worth the Money? What do you think of my Auto Affiliate Program Review? Do you think this program will make you money? I sincerely like Steven Hall with his excellent product. He seems honest with the Auto Affiliate Program and how it works, most especially if compare to most Click Bank products. The quality is far higher. What Auto Affiliate Program provided is, and you can make money with it. However, It's a product that can only be profitable to well-experienced affiliate marketers and the owners. If you're a novice to affiliate marketing, this is not the program for you. Also, you don’t have access to the email list that you collect, nor do you completely own your websites because the owner server hosts it. The email list and your asset which is website is everything in online business. Because of the above this program does not worth my money, and please stay away. I will be recommending Wealthy Affiliate instead; which is the best way to start learning how to have a full-time income online. Auto Affiliate Program is a valuable product, but significant issues limit it. If you decide to go for it, kindly let me know the outcome in my comment area. Basically, the person signing up for this program will be promoting their eBooks and just earning commission from the links in those books? That’s a far-fetched idea, and I don’t think it will be high paying either. Getting a user to download the free eBook is the first step, then having the reader actually read through those eBooks to find something useful is another step. And then finally having the person to click through the links in those eBooks is the third step. That would definitely require quite a bit of download and then click-throughs from those books to be able to earn a decent amount off Affiliate revenue. Thanks for reading my Auto Affiliate Program Review and how to make money with it. Downloading the eBook for this program is not the problem. If you read the session where I wrote about those issues and disadvantages of Auto Affiliate Program you will notice that you may not be able to make money with it in 2019. People will not just be reading eBooks but you can only read a book that will add value to you. The program is a good idea but the way it is made to run and function is wrong.